Buxus microphylla var. japonica or Japanese Box is a very sturdy evergreen shrub that makes an excellent dense screen or hedge, or can be cut to shape. 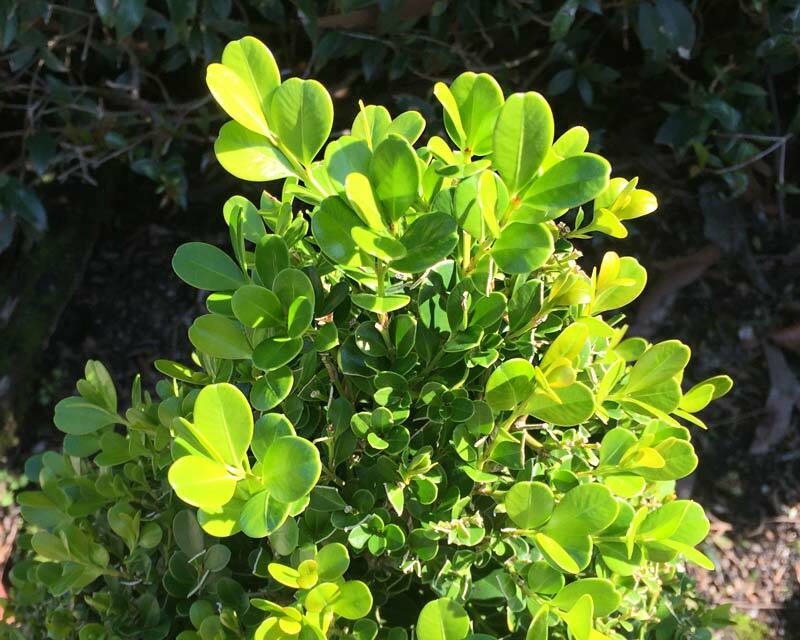 It has shiny bright to dark green oval shaped leaves and the density of foliage and compact growth habit make it easy to prune to shape. It is a very hardy plant and will tolerate frosts, full sun and dry conditions, although it does prefer moist soils for best results. If you are a budding topiarist and want to turn your plants into living sculptures - then this is the one for you. 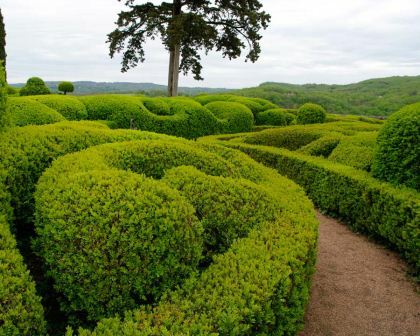 Japanese Box is also well known as one of the best the plants for making a maze. Soil: Almost any soil type but prefers humus rich loam. Maintenance: A good feed once a year with a balanced, slow release fertiliser will be beneficial. Pruning is only neccessary if you want it to be neat, in which case you can do it often - otherwise it will grow well to make a good screen. Other Species: Buxus sempervirens, Buxus balearica and Buxus wallichiana are well known members of this genus. Comments: Boxwood was used for the fine woodcut blocks in the printing industry. Maybe it was also used to make boxes too !! N.B. The Oxford english dictionary is not clear as to whether this is the origin of the word or not.